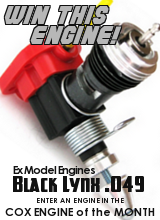 pick up some rpm to help the engine sing. way to the very last drop of fuel. Where is your carb discussion at? using a wide open throttle (venturi) and a throttled exhaust? are easy to make and to introduce a spray bar to atomize the air / fuel mix. right muffler design and pressure tap we can see gains. Same goes for tuned pipes. 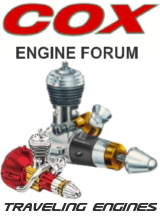 I think the "need" with COX engines to use sleeves as exhaust restrictors is dictated by the lack of stock, barrel type mufflers which were only made for the 049/050/051 and 09 size TeeDee and Medallion engines (of which only the 049 Medallion muffler acts like an efficient controllable throttle) but nothing like a barrel type muffler for 010 and 020 size engines, acting as an efficient exhaust throttle were ever made as stock by COX. throttle can cause a very rich idle. is rare, unless the engine is wot with a restrictive muffler or pipe. 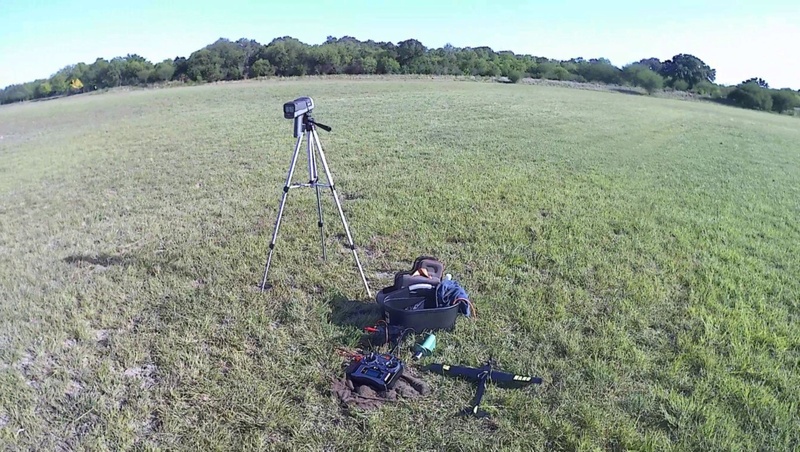 not restricted by normal r/c methods. on it, The benefits of the SPI are eliminated. reached that allows the SPI and muffler to work together. remote needle valve servo together. needle valve to open at a different rate than the throttle servo. modify it for the small engines. cooler and this requires on the spot fuel / air mix adjusting as an example. Slightly off topic - Where did you get the TD 020 bullet spinner? tinker with the settings later because we had data acquisition or telemetry to a laptop. ever we tested or raced. tooth sensor and measure as the big end pin & connecting rod rotate past the hall sensor. 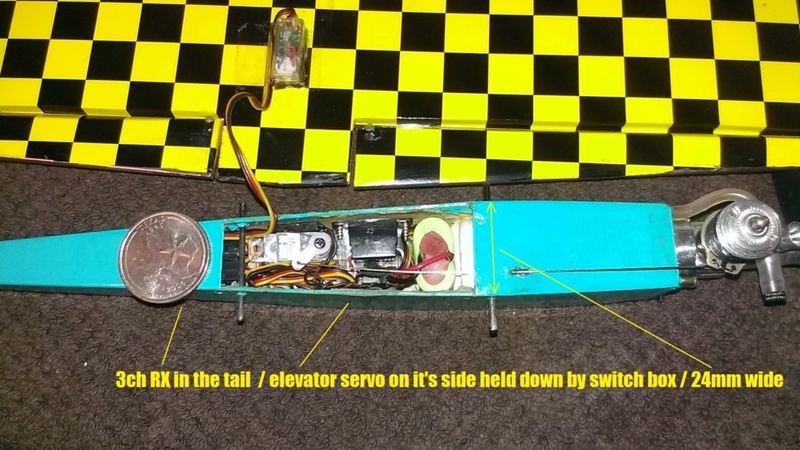 Mini, Blue Pill, and the Parallax Propeller 1.
to regulate the fuel system. spectacular rpm and mph data, despite loosing 15 to 20% HP **** to the hot weather. **** using the SAE correction factor as a guideline. can sweep in to capture the top rpm from a shallow dive to near level pass in front of me. myself and the POV camera picks up on the readings after landing I can display the best reading. of the screen and displays last pass on main portion of the screen. the best pass by me. I generate momentum as shown in the example vid below. the planes abilities with the given engine used I can do design mods for the next build. Here is the redesign waiting on good sunny day anything over 70F will test. a bit of refinement needed with the cylinder fit and O ring used to improve sealing. The aluminum manifold fit has to be tight in cold state so when heated there are no losses. I plan to show what is possible with a stock engine then step the timing up to 160 deg. 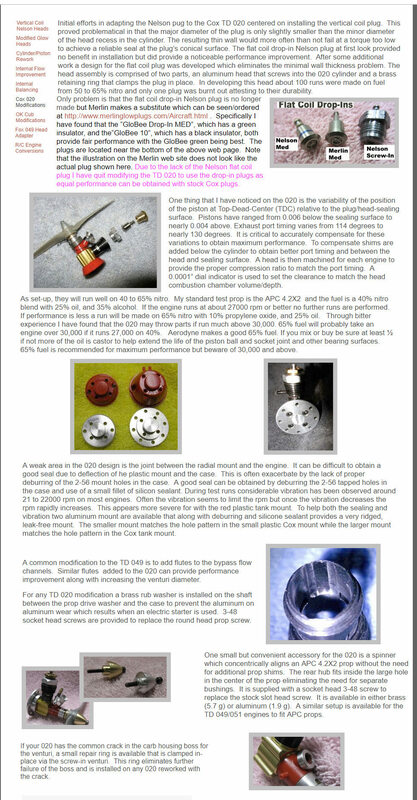 Bench testing has shown improved power to the prop vs a stock muffler and pressure tap. 1st. 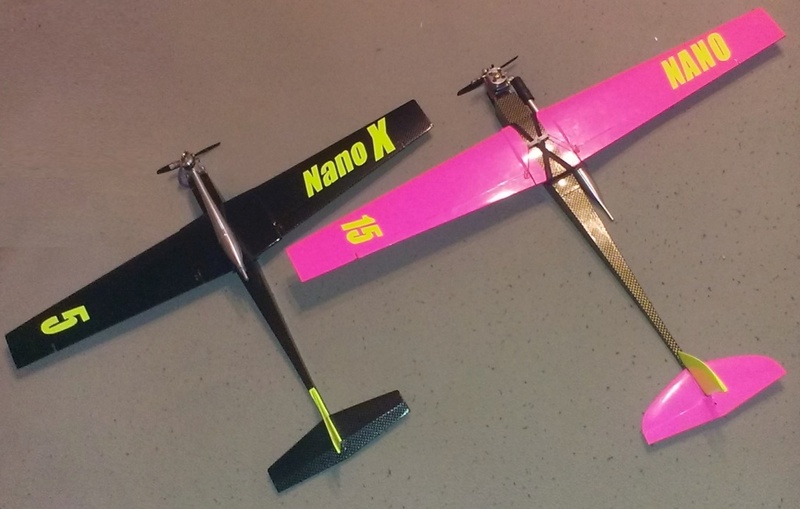 test on the NANO-X plane / with backplate pressure. NIII has now done 37,710 rpm / 161 mph prop pitch speed unloaded with a modified 05 car engine shown. Will get some good sunny day vid passes with it this season. 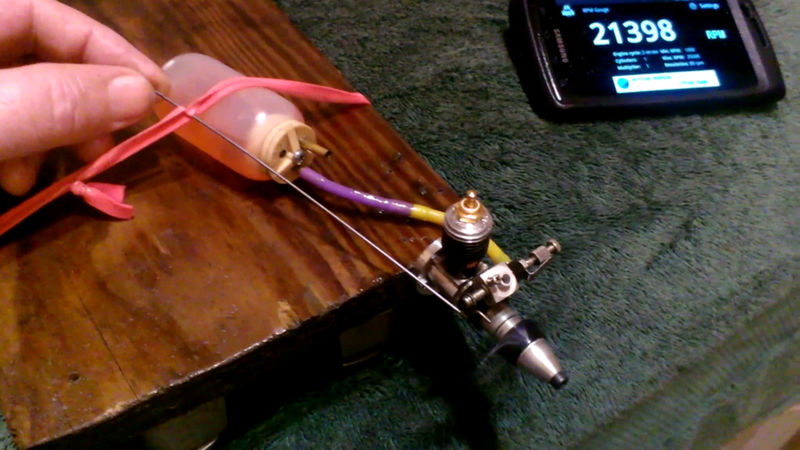 the heat it did help but too much the engine went rich once in the air and hot on the ground chasing the needle valve. check head temps at launch for external no weight penalty data. Speaking of external here is my gear for radar. I bought this carrier has a shoulder strap to walk it out to the middle of the flying field. read enough mph for my use shame that. The radar I have goes to 200 mph. efforts are going in the right direction. and is contrary to normal aircraft tuning???? to operate the Radar, or monitor the telemetry. The inside walls of the venturi needs to be hour glass shaped to speed up air and cool the influx. a difference, even if a bell-mouth shape exsists. Have you read any National Free Flight Society Symposiums? Hi Bill yes feel free to add to the thread good info should be documented. 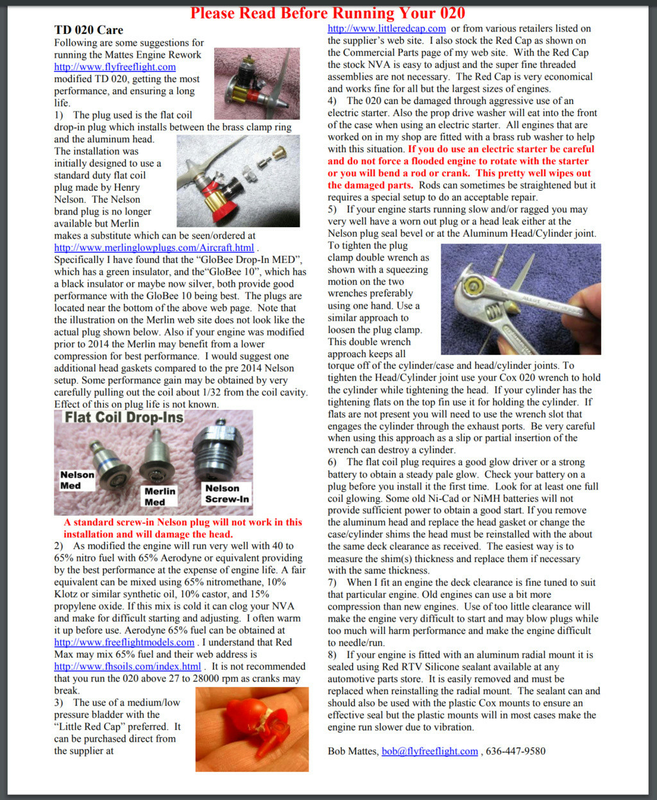 a handful of the small Nelson flat coil plug inserts no longer available. you can buy a copy as they become available for sale. far too many dead links out there and photos that no longer open! 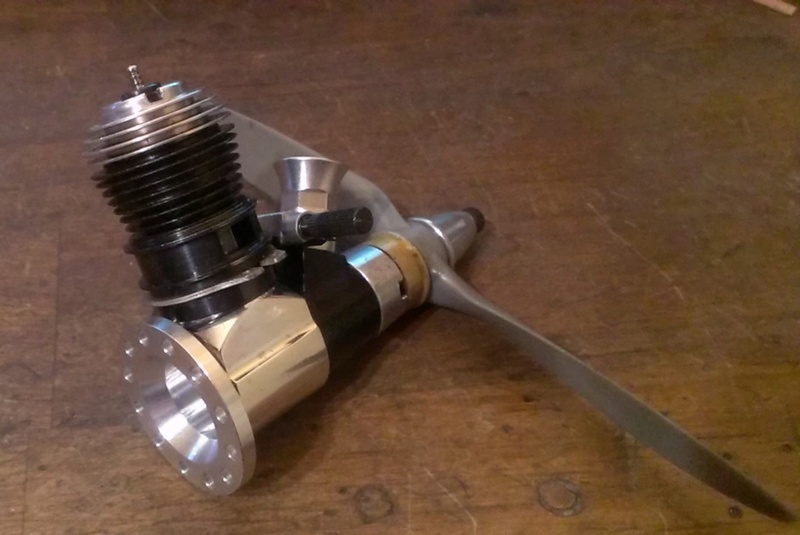 9.2 oz thrust / .078hp / 58w /49.2 mph pitch speed / Nelson small insert plug. backs to the pit area to land etc. into some sunny blue sky. 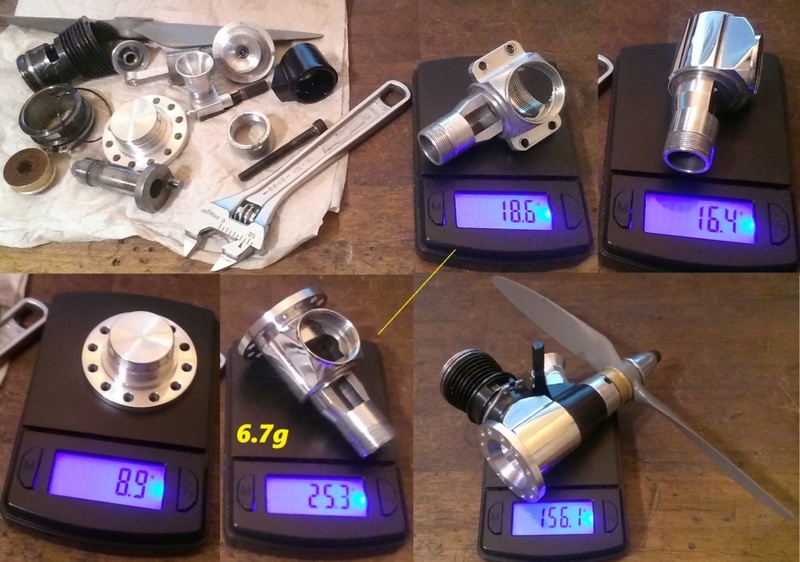 I have bench tested the Profi 1/2A tuned pipe with high performance 05 car engines into 40's best went just past 50k rpm. 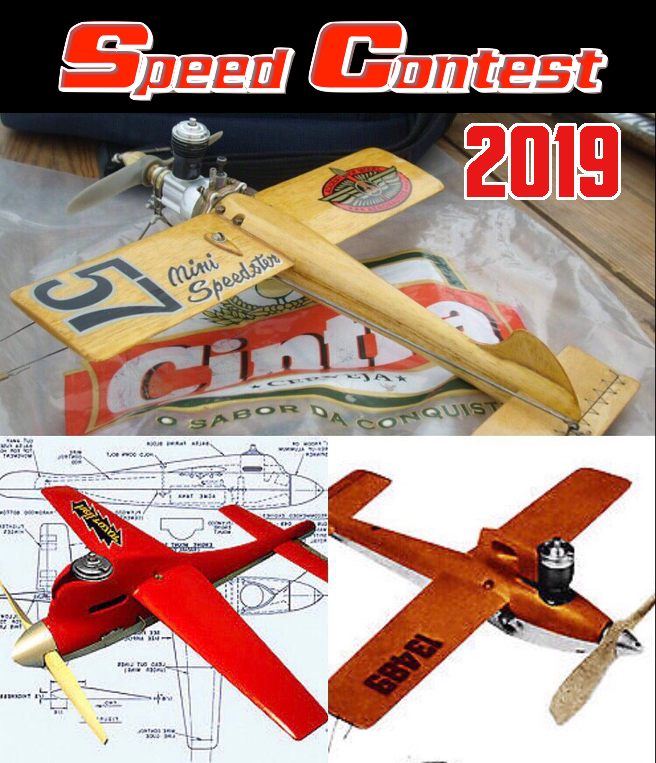 Best flown unloaded to 37,710 rpm / 161 mph prop pitch speed. 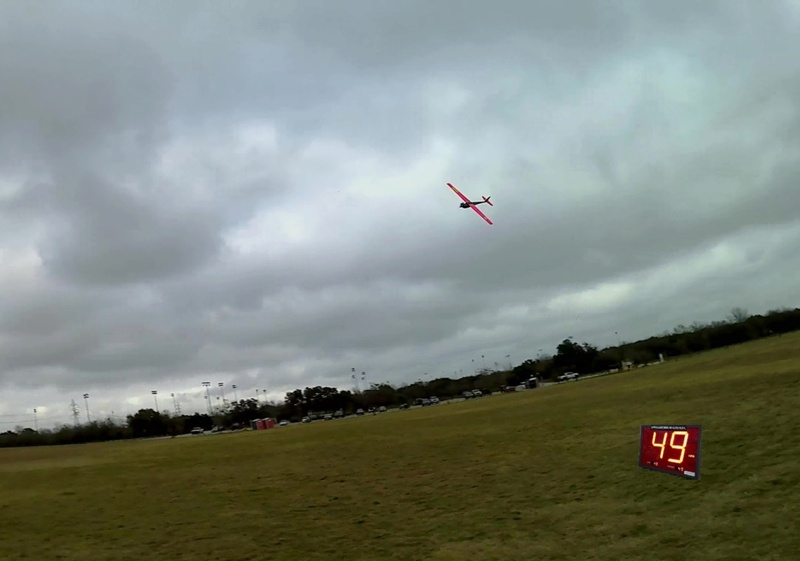 Unloaded 30,492 rpm best on Vid 1 / 118.4 mph per prop calc. 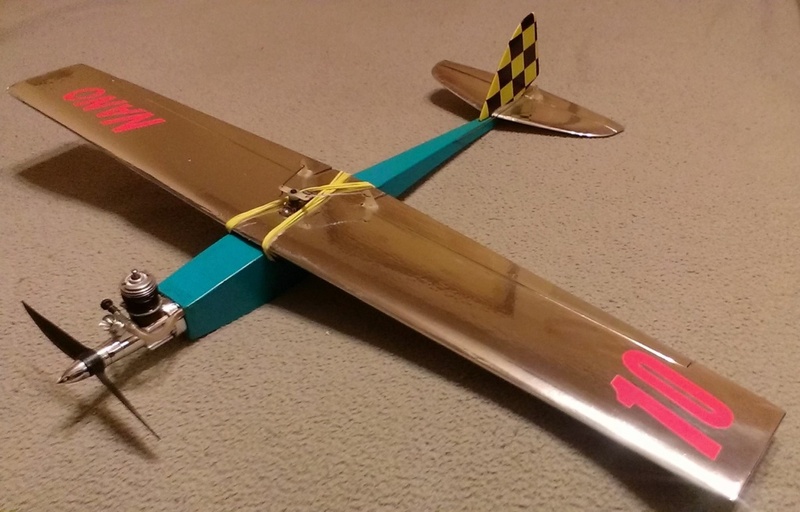 The goal with the Profi pipe and Nano X is around 31k unloaded 4 x 5.5 prop / 162 mph prop pitch speed. Will process this soon just came in the mail Cox .15 radial mount! I plan on removing the beams and bench testing it prototype testing. 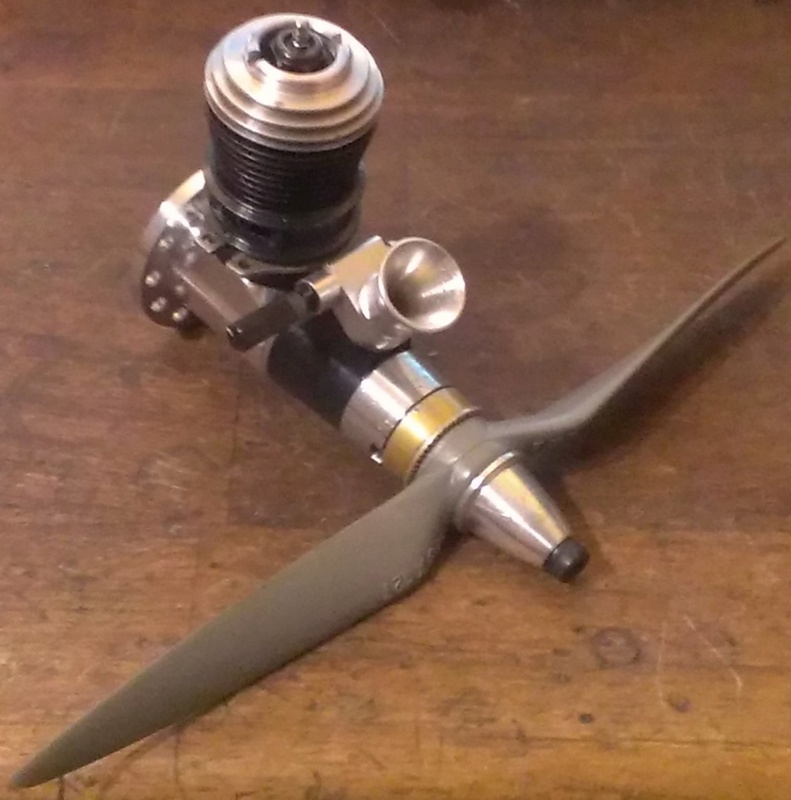 Shown with a APC 7x5 sport prop and Medallion throttle sleeve. 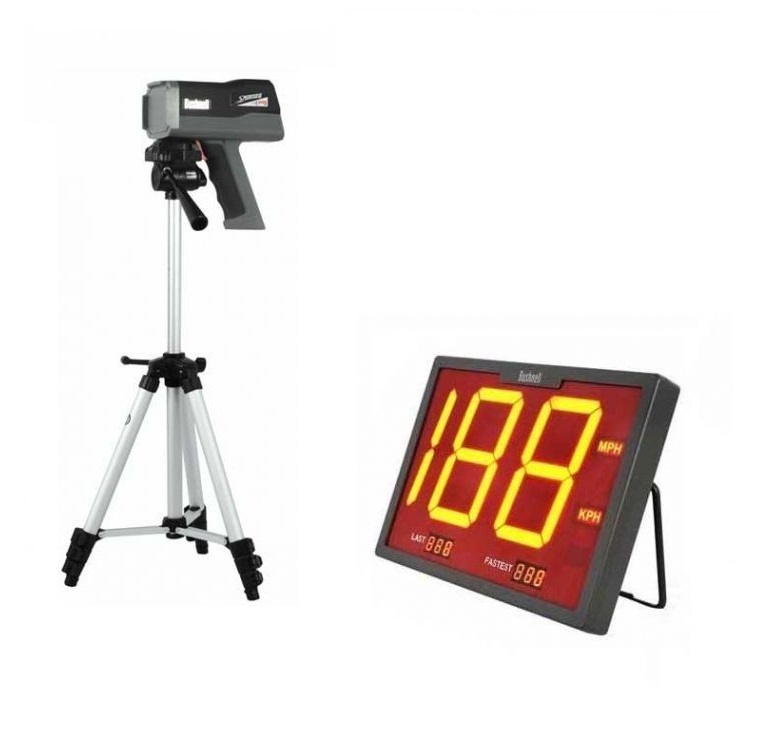 Unless you have a TD .15 it's hard to tell in the pic this thing is a TD .049 on steroids! 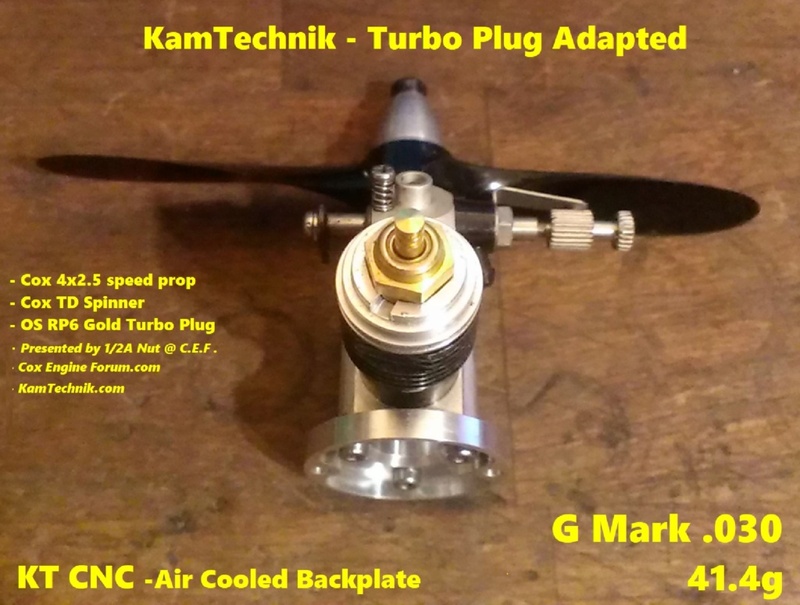 Adaptive CNC Performance Parts by KamTechnik! 3 cooling fin plug adapter with extended cooling via backplate. 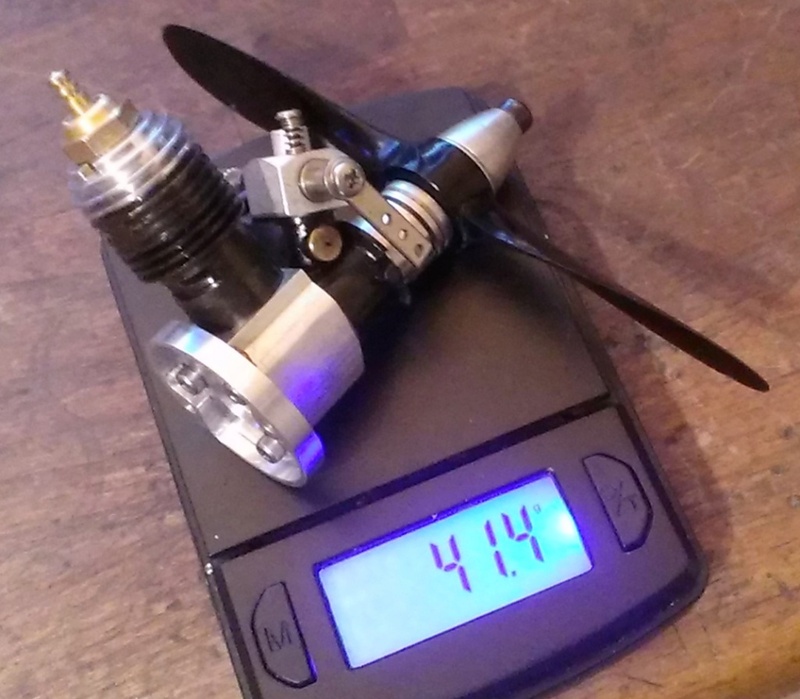 Peak 21,398 rpm / .045hp - 34w / 5.2oz thrust / 51 mph pitch speed. Excellent throttle response / big boost in power / 2 clicks rich. 25% nitro / 20% Castor / 73F / 652ft, from sea level. I expect this will unload to 26k ish / good for 50 mph pitch speed / mega thrust for acro. Stock prop gets 16.75k Muffler Pressure tap and to 17.3k open exhaust per my test with stock plug. The hop up parts have improved this engine dramatically / truly within it's displacement now. it has exceeded a stock TD .020 making it a viable in between class engine to the .049.
adapter looking for better results will test that next. 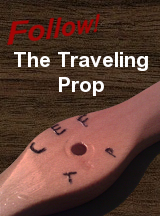 prop adapter will then compress the crack and press fit into place with authority. shave off a bit to match the slope of the carb body with a razor blade. 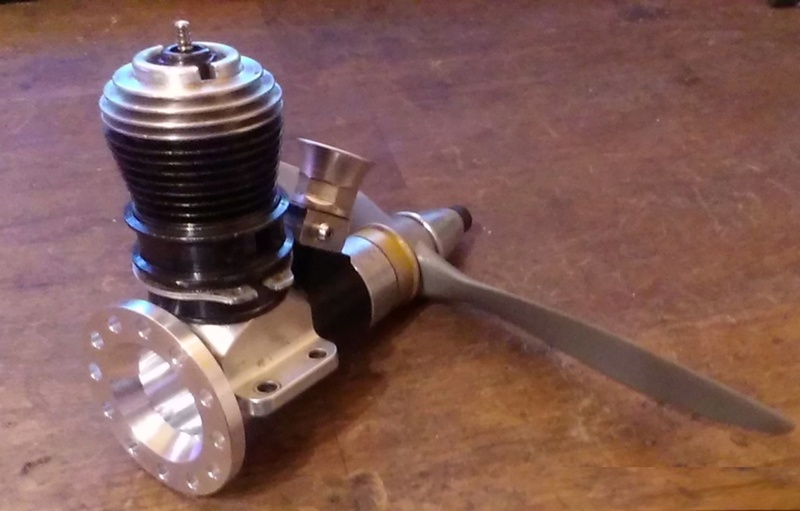 TEE DEE .15 Special Sleek Radial Mount Conversion! is a bench grinder / buffing wheel and some hand files to feather down the last bits of the old beam mounts smooth. I wanted to buy 4 but Kam Tchnik Ebay shop allowed only 2. I am really wonder why??? I do not know why that has happened, send a message to the vendor on ebay. Cool Deal Brad Thanks , i subscribed to his newsletter so i can get a couple , am looking forward to skinning one down and apply a slide throttle to it !! Should look cool too . 1/2A Nut wrote: I do not know why that has happened, send a message to the vendor on ebay. 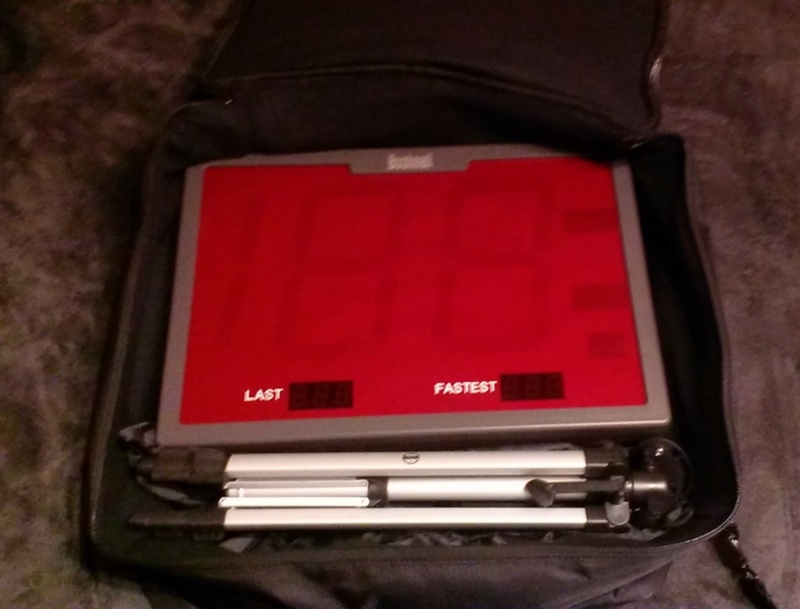 There is Ebay rule set in, the buyer can buy only 2 items in 10 days from Greg. I sent Ebay screen shot to Greg. May be this Ebay rule set accidentally.